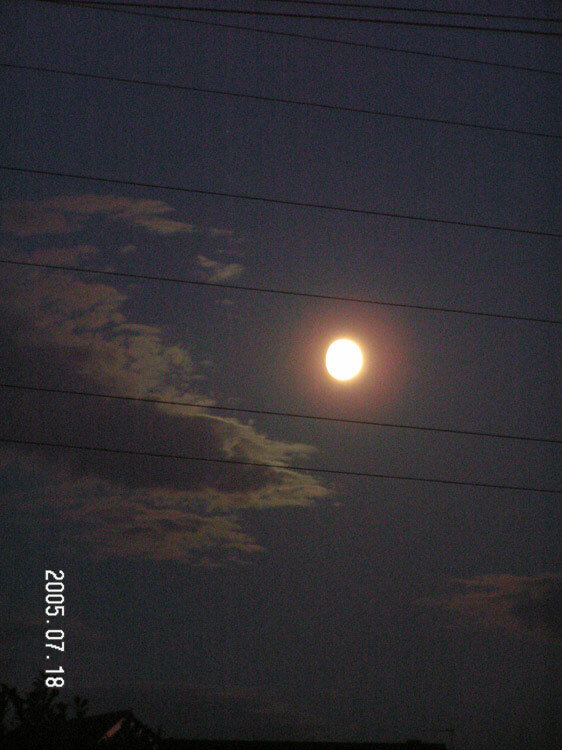 Chris Newsome took the following two images of the Moon on the 29th April 2007. 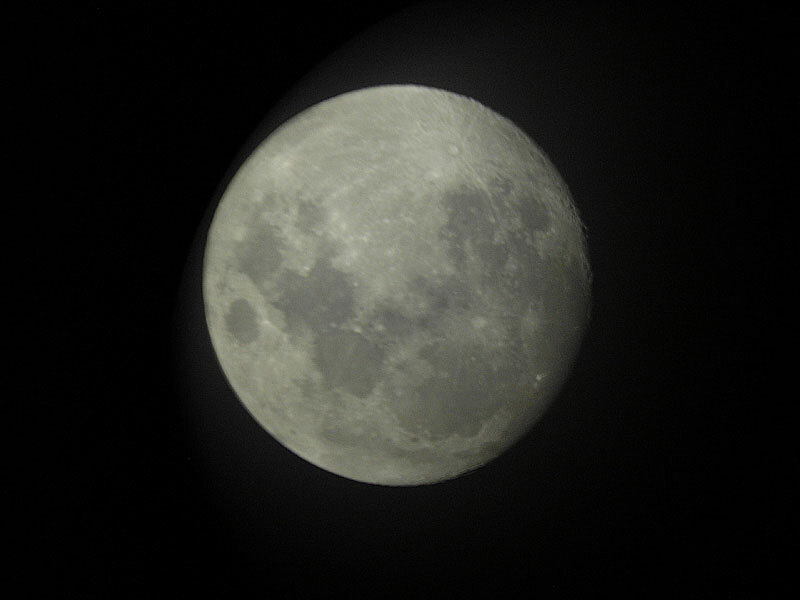 The first is one where the colour has been left unprocessed so the Moon has a 'natural' appearance. In the second the colour has been processed in such a way as to bring out the different rock types making up the lunar surface. 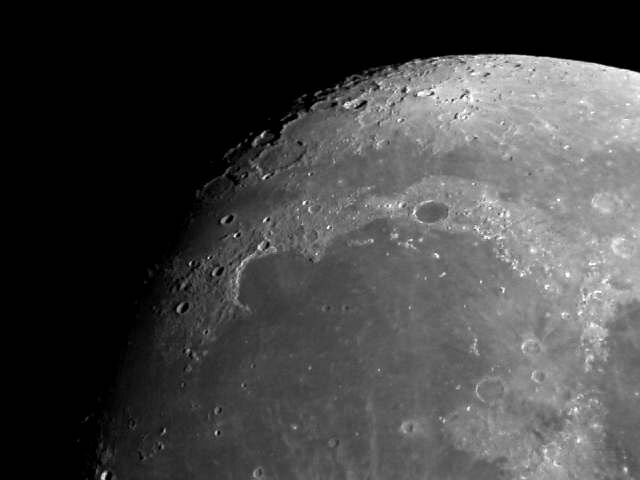 The images are a stack of 31 frames taken with a C8-NGT/Moonlite CR-1 and a Canon EOS300D/MPCC combination. Each single image was at 100 ASA and the exposures were of 1/200th second. To achieve the colour processing the image was neutral colour balanced so that when the saturation was adjusted it didn't favour any one colour. Once done, the saturation was increased in three stages of +30 and then in a couple of stages of +10. Once the final colour balance was achieved, the image was unsharp masked and contrast adjusted to achieve the final result. The colours signify areas of differing amounts of metal in the basalts on the mare regions, the bluer the area the more metal, the oranger the area the less metal. Mare Tranquilitatis is very blue in comparison to neighbouring Mare Serenitatis although round the edge of Serenitatis, the metal composite is higher around the edge of the 'shoreline' in comparison to the centre of the 'sea.' 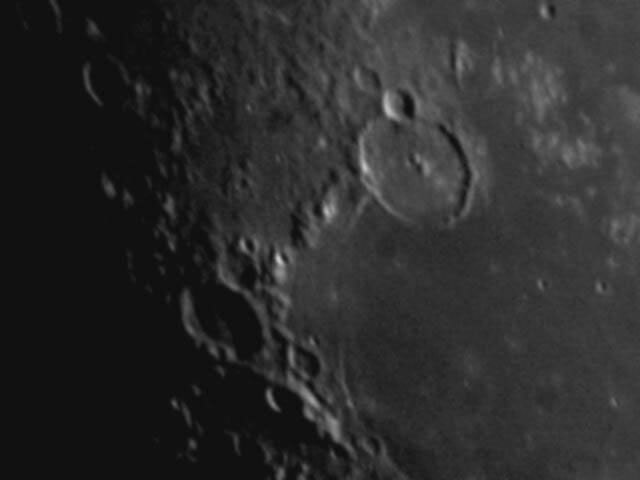 Mare Humorum (to the lower left) displays the opposite colourations to Mare Serenitatis. 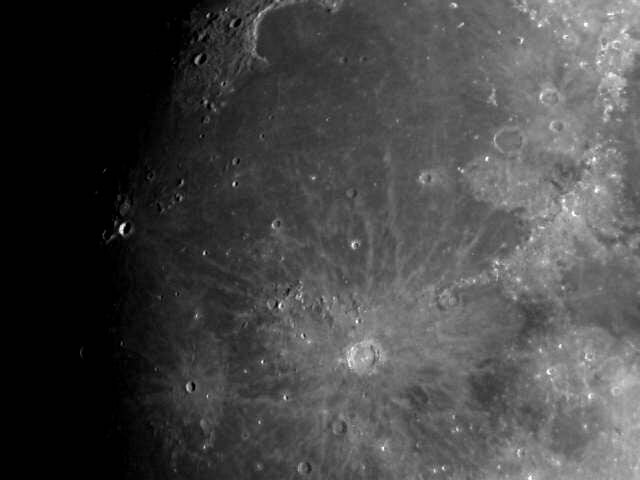 Sinus Iridum, on the other hand, is very clearly low on metals and has a distinct border with Oceanus Procellarum plateau and from the processed image Mare Frigoris, on the northern edge of the lunar face, is low on metal. Also see the NASA GSFC picture of the day for the 7th September 2006 for a similar image by Noel Carboni. 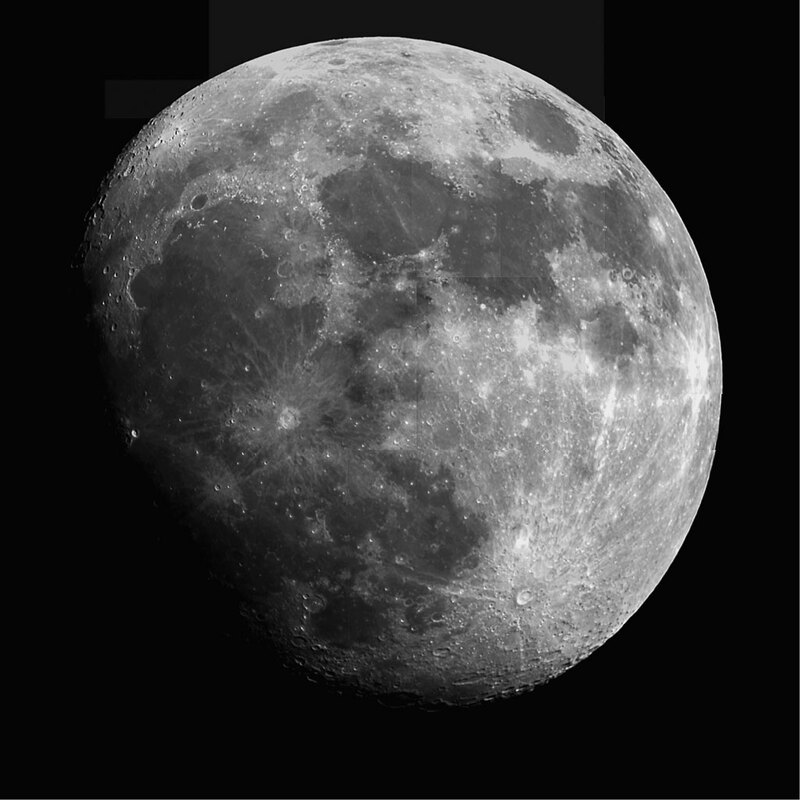 More information on the Moon's crustal composition may be found here. 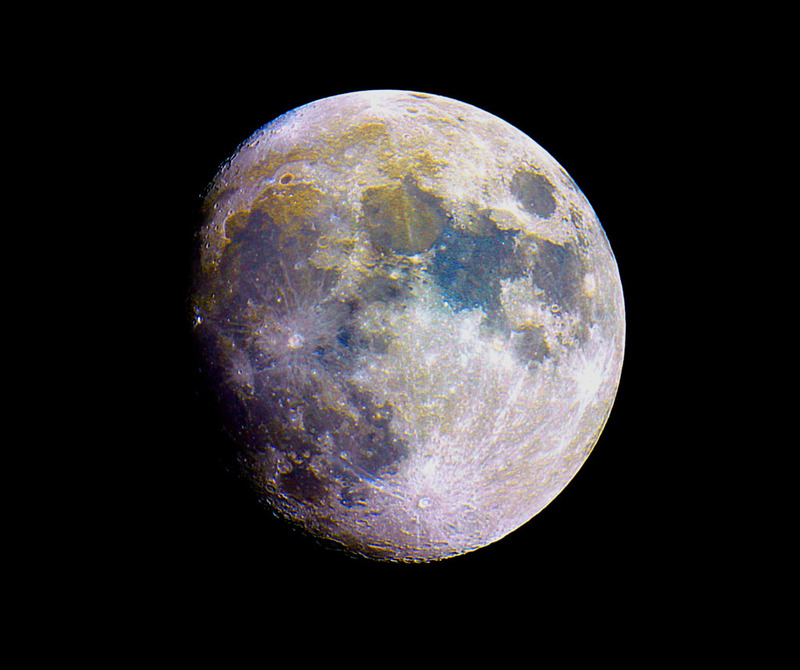 The following image of the 12.5 day old Moon was taken by Chris Newsome on the 8th June 2006. 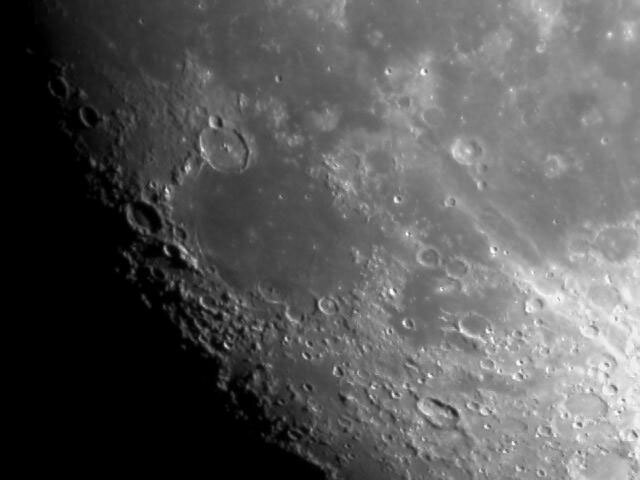 He used a Meade LPI camera with a Celestron C8-NGT telescope. The image is comprised of a total of 11 separate images stitched together in CS2. The 11 images are themselves comprised of a total of 1550 frames stacked in Registax. Chris comments that "The Moon was very low down in the sky and, bearing in mind the heat of the previous day, the atmospheric turbulence was horrendous - it was like looking through a jelly! However the stacking process has helped in eliminating the atmospheric effects to a certain extent although the overall image is still blurred". Looks fine to me Chris - webmaster. 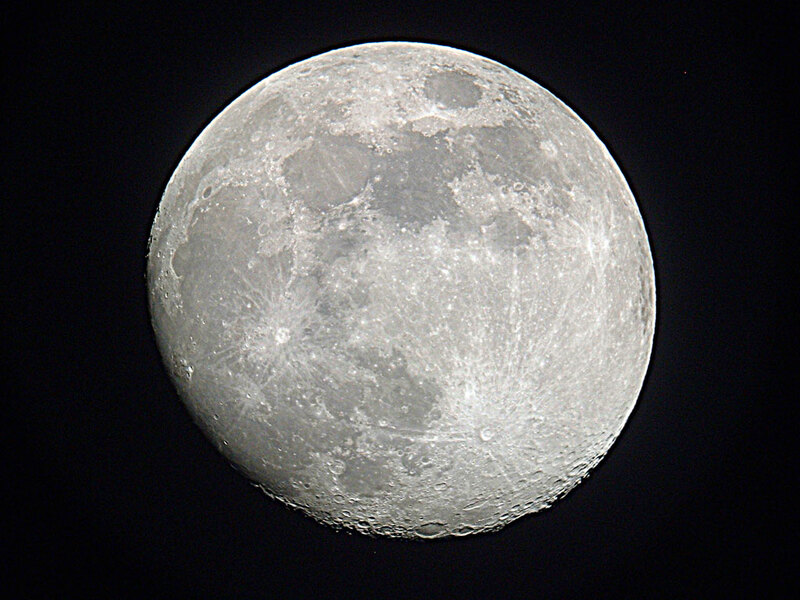 Simon Allcock captured this image of the 12.26 day old Moon at 20:28 UT on the 10th February 2006. 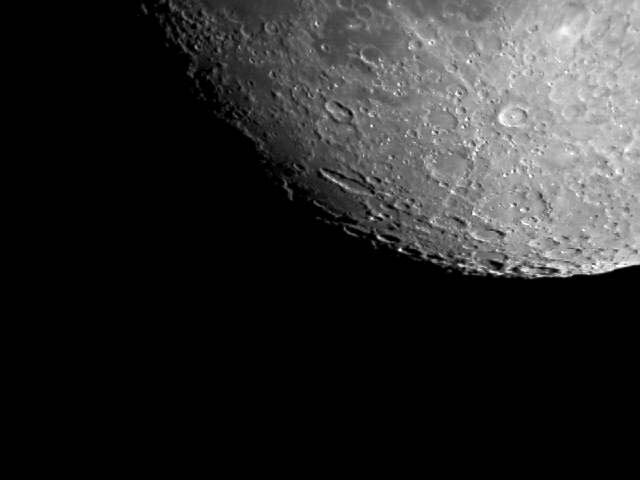 He used a hand held Fuji Finepix A330 digital camera looking through a 32mm eyepiece on his Meade LX90 telescope. The images was then processed in Photoshop v9 using an un-sharp mask and contrast/brightness adjustments. Dave Selfe took the following picture on the 15th October 2005 using an Olympus C500 digital camera looking through a 25mm eyepiece on a 200mm Orion Europa reflector. Chris Newsome took the following picture of the 12.39 day old Moon on the 18th July 2005 using a hand held Minolta Z2 digital camera at 135mm, 400 ASA, and an exposure of about 1 second. 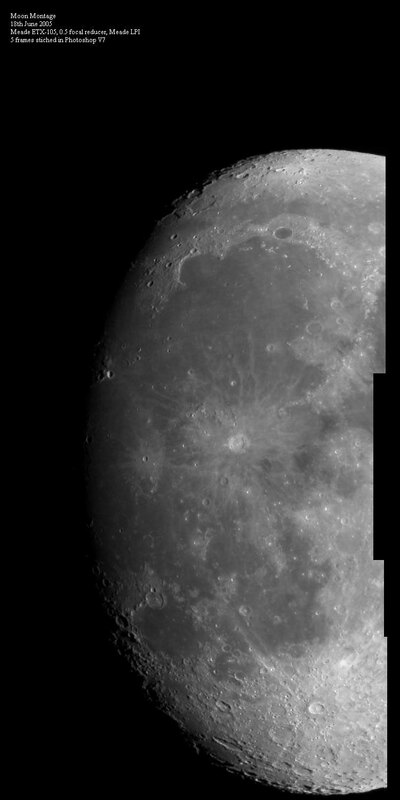 The following set of 6 images show the 12 day old moon and and close ups of 5 regions on it. They were taken by Chris Newsome on the 18th June 2005. To see these images with features named click here. 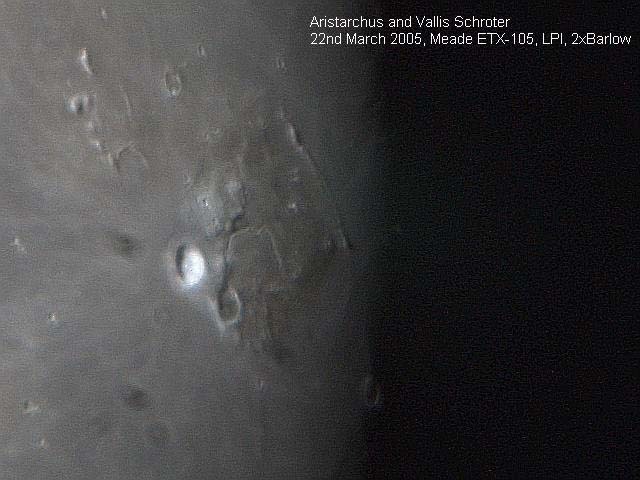 The following image by Chris Newsome taken on the 22nd March 2005 shows the bright crater Aristarchus with the sinuous Schroter's Valley close by. 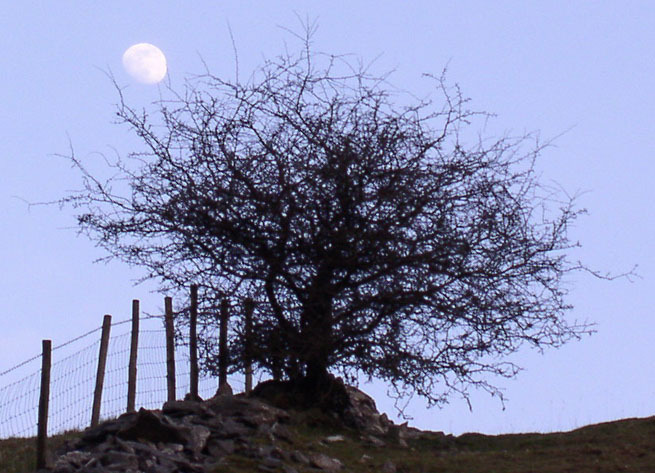 A gibbous moon rises over a hillside in the Derbyshire Peak District in the following picture taken on the evening of Sunday 13th April 2003 by Mike Lancaster. He used an Olympus Camedia C4000 zoom digital camera.